Four Straightpoint (SP) compression load cells were supplied from Lifting Gear Hire’s (LGH) Belgium facility in Antwerp to weigh a bridge that had been removed for repair after a canal boat collision. The 150t capacity load cells were utilised by marine engineering company Hye NV, which was tasked with fixing the structure that crosses the Brussels-Scheldt sea canal at Humbeek-Sas in Grimbergen, north of the country’s capital city. The Brussels Timesreported that the bridge was struck as it was opening to allow the vessel to pass through. It added that the impact shifted the roadway section of the bascule (moveable) bridge five or six metres out of line on one side, while the mechanism that raises and lowers the two halves of the bridge was also damaged. 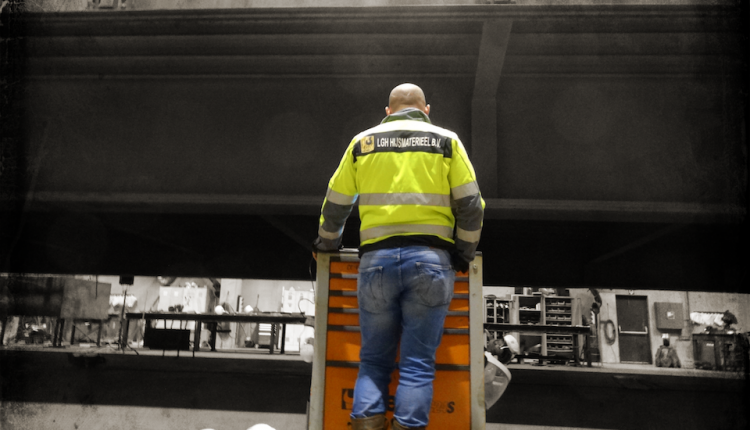 Hye, located on the banks of the Scheldt in Antwerp, near Kruibeke, called upon LGH to provide measurements before and after an important phase of the bridge’s restoration. The wireless load cells were positioned under four supporting points of the structure and fed data, capturing individual and collective readings, back to SP’s SW-HHP software on a laptop, where they were read at a safe distance. The net weight of the bridge was 156.5t but the structure measured 162.5t including a number of components that will be required during re-installation. Davy Kraft, sales engineer at LGH Belgium, explained that there was no necessity to measure centre of gravity but the information was readily available and contained within a detailed report generated by the software and delivered to Hye’s engineers. SP’s compression load cells boast a wireless range of 700m or 2,300 ft. The load cells and software commonly combine to verify the centre of gravity and weight of large and heavy objects that may not be evenly proportioned. Kraft and his team also utilised 100t capacity Hi-Force hydraulic jacks to raise the bridge and lower it onto the load cells. SP was acquired by lifting and rigging hardware giant The Crosby Group at the turn of the year. Repair work on the bridge continues.